Dear Applicants, South East Central Railway has issued notification for ALP, Technician-III, JE & Other Vacancies. There is 329 Vacancies are available for SECR Recruitment 2018. Interested Participants must check eligibility criteria, Age, and selection process before applying. Candidates who found themselves eligible for SECR Vacancy 2018 must apply online from 14.08.2018. Online Registration will be closed on 17.09.2018 for South East Central Railway Jobs 2018. Further more details such as selection process, pay scale aspirants should read below article carefully. Here we gave you links to download SECR Notification 2018. Participants who are going to participate in SCER Recruitment 2018 must check here required qualification, age, and pay scale. Applicants must fill up application form carefully, Otherwise, their form will be rejected. Candidates must download SECR Notification 2018 regarding more details. Applicants should require Matriculation with ITI in respective fields to take part in SECR Recruitment 2018. Candidates Who have Diploma in a respective discipline may also eligible for South East Railway Jobs 2018. Participants may also check the required qualification of particular filed from official SECR Notification 2018. Here we gave you links to download SECR Jobs 2018 notification. Candidates must be minimum 18 years old and not more than 42 years old are eligible for South East Central Railway Vacancy 2018. Upper age relaxation are given as per government rule. 3 years of age relaxation are given to OBC Category Applicants. 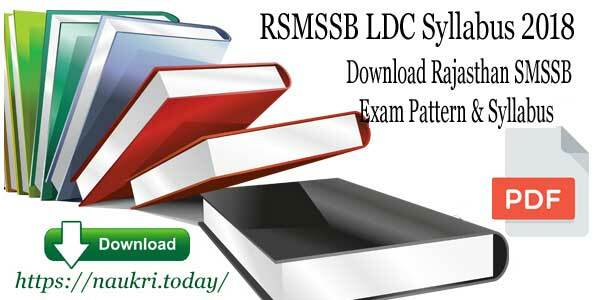 Candidates of ST/SC category should be relaxed by 5 years. The Department will mention that age relaxation is applied from 01.01.2018. Aspirants should read official notification of SECR Recruitment 2018 for more information. the Department will pay according to pay matrix Level- 02, 04, 05, 06 & 07 to the selected candidates. Applicants should perform well in training period to grab a good amount of salary For Furthermore information related to pay scale aspirants should consult to official SECR Notification 2018. Participants should be selected on the basis of CBT test and Aptitude Test/ Typing Test/ Document Verification Test. Applicants who will qualify in CBT Test will go for Aptitude Test/ Typing Test. Participants who cleared both CBT Test & Aptitude Test may call for Document verification. 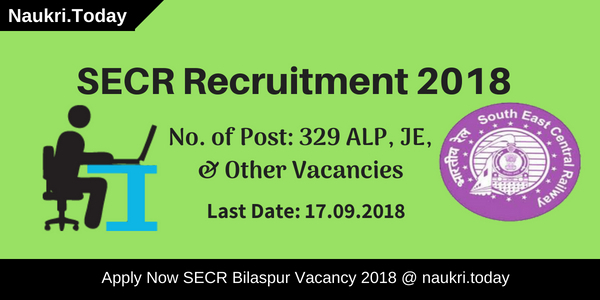 Candidates should download SECR ALP Recruitment 2018 notification for collect detailed information. The Department will not mention any application fee for SECR Recruitment 2018. All Category applicants are exempted from payment of examination fee. Eligible and Interested candidates must fill up an application form before the last date has passed. Here we gave you links to apply for SECR Vacancy 2018. Candidates should check qualification, age, and selection criteria details before applying for South East Central Railway Recruitment 2018. Candidates need to face three stages to grab SECR Jobs 2018. These easy and simple steps will help you to apply for SECR Bilaspur Vacancy 2018.
firstly candidates should log on to the official website of SECR i.e secr.indianrailways.gov.in. After that may search for SECR Recruitment section at Homepage. Now Click on SECR ALP Jobs notification PDF. Applicants should read the complete notification carefully before applying. Eligible participants must fill up their application form carefully. After filling up application form applicants should submit it. Participants must take one print out of application for feature use. Conclusion: South East Central Railway has issued notification for filling up 329 ALP, Technician-III, Je & other Vacancies. 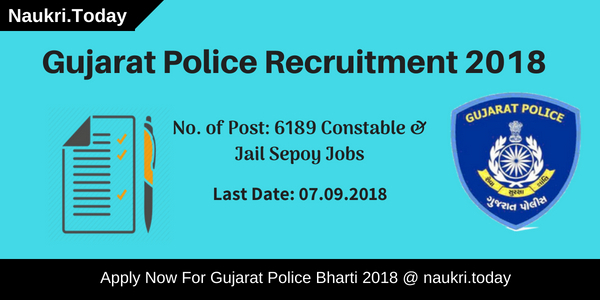 Aspirants should collect here details regarding educational qualification, age, and pay scale for SECR Recruitment 2018. Participants should apply online for SECR Bilaspur Jobs 2018 before last date 17.09.2018. South East Central Railway has published notification for 305 Trade Apprentice (Turner, Fitter, Welder, Electrician, Mechanic, etc.) posts. Eligible applicants can apply for SECR Raipur Recruitment 2018 till the closing date 27th December 2017. Participants can check eligibility details for SECR Raipur Apprentice Jobs through official links as given below. Application forms are accepted through online mode only. Online Application forms are starting now from 28th November 2017. SECR Raipur Division & Wagon Repair Shop/ Raipur is inviting applicants for Apprentice Vacancies. This is very good opportunity to the participants who are waiting for South East Central Railway Recruitment. Online Registration Forms are available now on its official portal. Applicants can collect brief information about age limit, selection criteria, etc, through the article as given below. Those candidates are wish to apply for South East Central Railway Bharti can check eligibilities from here. Candidates must collect information related to educational qualifications and age criteria for SECR Raipur Vacancy 2017-18 as available below. Participants should have passed Matriculation Examination under 10+2 or its equivalent from recognized Board for SECR Raipur Jobs . Candidates must have cleared ITI Course in respective trade from recognized institution for Apprentice Vacancies. Applicants can check rest of the details about educational qualifications for SECR Jobs through South East Central Railway Official Website. Candidates should have age limit as between 15 years to 24 years for South East Central Railway Vacancy. Age Relaxation will be applicable as on 01.01.2018 for SECR Raipur Apprentice Vacancy 2017. Maximum age limit will be relaxable by 03 years for OBC and 05 years for SC/ ST applicants. PWD and Ex-Servicemen candidates should be allowed with age relaxation as 10 years for SECR Recruitment. Participants can referred SECR Jobs 2017-18 Notification to get more information regarding age relaxation for Apprentice Vacancies. Participants must required to make the payment of Rs. 100/- as application fee for SECR Raipur Recruitment. Application Fee will be accepted through online mode such as Internet Banking, Credit Card, Debit Card, etc for SECR Recruitment. SC/ ST/ PWD category applicants will be exempted by Application Fee for SECR Raipur Bharti 2017-18. After selection for Apprentice post, candidates will be paid by a good amount as salary for SECR Raipur Jobs 2017. Candidates can get more information regarding pay scale for SECR Raipur Division Vacancy through SECR Recruitment Notification. Applicants will be selected on the basis of Academic Merit and Medical Examination for SECR Raipur Bharti. Candidates should check further details about selection method for South East Central Railway Apprentice Recruitment through SECR Official Notification. Then go to Home Page and then click on SECR Raipur Recruitment 2018 Notification Link. Candidates must read SECR Apprentice Vacancy 2017-18 Advertisement carefully. After that, fill up all required information in SECR Raipur Online Application Form. You should uploaded scanned pictures of passport size photo and other relevant certificates. Candidates must recheck SECR Online Registration Form. Participants can submit their South East Central Railway Online Form by clicking on Submit button. Then make the online payment of application fee with SECR Online Form. Candidates must take printout of submitting SECR Raipur Online Form for their future use. Conclusion : South East Central Railway has issued notification for 305 Vacancies of Trade Apprentice. Applicants can fill online registration form for SECR Raipur Recruitment 2018 from 28th November 2017 to 27th December 2017.